The Conch Republic Cup, Key West Cuba Race Week, has an interesting past. In 1996, the Key West Sailing Club, now the Key West Community Sailing Center, received an invitation from Commodore Jose Miguel Diaz Escrich of Hemingway International Yacht Club of Cuba to run a race from Key West to Veradero. At that time the race had been run two times previously in the 1970’s. Peter Goldsmith, owner of Geslin Sails, was the fleet sailing captain of the Key West Sailing Club and accepted the challenge. Peter and his then partner Michele Geslin, since deceased, put the race together in 1996-97 with the help of Mark Lindas, Mark Milnes & Glenn Sykes among others. They successfully put on a number of races from 1997-2003. During this time the race took on a life of its own. After two years of running KW to Varadero, Commodore Escrich would propose the Conch Republic Cup (CRC) four race series. The first two races were from Key West to Varadero 1997 & 1998. Then from 1999 thru 2003 it was the CRC. In 2003 the government decided they did not want to allow the race to proceed. So on the way to the start of the CRC2003 racers were escorted out of the harbor to Sand Key by many government boats and a helicopter taking pictures. They did not stop participants on the way out but for the first time in seven years they boarded most boats returning from Cuba and confiscated cameras, GPS systems, and charts. Peter and Michele were subsequently arrested and charged with “Trading with the enemy” but were later released and exonerated. In 2015 when the Obama Administration changed the restrictions on travel to Cuba the race was renewed with Karen Angle at the helm alongside Peter Goldsmith. 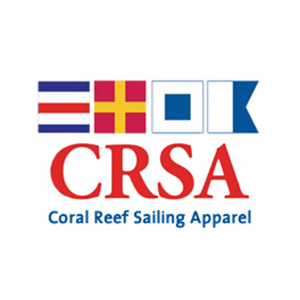 We have established the Conch Republic Cup as a 501c3 nonprofit organization dedicated to the pursuit of sailing education and friendship with Cuba. We continued the tradition of the 4 race series of the CRC traveling in 2016 & 2017 with 54 boats and 475 people to both Varadero and Havana. In 2018 the race had to make a change a abandon Varadero. The new administration restricted our ability to enter that marina. However, due to weather we had to cancel the race.